CardCash.com is the leading Peer to Peer Marketplace for exchanging unwanted gift cards, enabling customers to buy, sell, and trade gift cards to leading national and regional retailers. The average family has over $300 in unwanted gift cards with over 27% of consumers possessing gift cards they received more than a year ago. Consumers can receive in cash up to 93% of the face value for their unwanted cards. These unwanted gift cards are then sold at a discount to other consumers eager to get a good deal at their favorite department store, restaurant and specialty store. CardCash has also inked deals to provide gift card exchange programs for leading brands, including Walmart, Amazon, CVS, Sears, and United Airlines. These programs enable consumers to exchange over 200 brand gift cards for one of CardCash’s partners brands gift cards. Headquartered in Brick, NJ, CardCash.com offers the largest selection of discounted gift cards online, the highest level of security and the highest customer satisfaction in the industry. 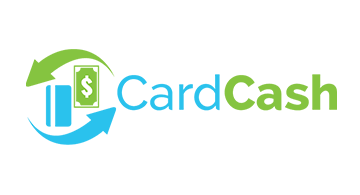 With revenue more than doubling each year since inception, CardCash was ranked #14 on Forbes’ list of America’s Most Promising Companies for 2014. For two years running, Inc. magazine has included the company on its prestigious Inc. 500 list of the fastest growing private companies in America. Early stage investors include Guggenheim Partners and Incomm.